As you probably know, I work for an agency that deals strictly with B2B clients. B2B offers unique challenges for PPC, including lead tracking and pricey CPCs due to competition. For years, Google Adwords has been our bread and butter. Their sheer market share makes them a must-use for B2B advertisers. But I’ve started to think that Google hates B2B advertisers. Here’s why. I’ve written before about why sitelinks can be a worst practice, especially for B2B clients. In mid-2014, Google launched Dynamic Sitelinks – an even bigger nightmare for B2B advertisers than regular sitelinks. At least with regular sitelinks, we could just not add them. But now, it seems we’re stuck with them whether we want them or not. Granted, Bing Ads also has dynamic sitelinks. I don’t like those any better than Google’s. But I wonder if Bing would have launched them if Google didn’t do it first. 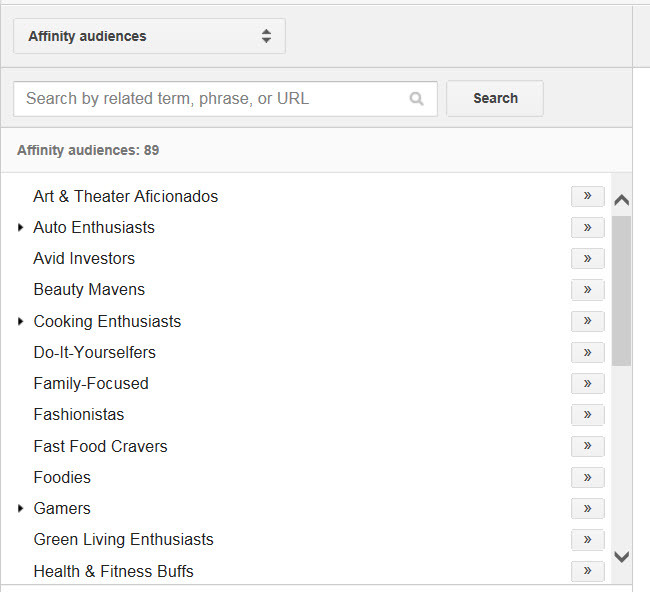 I’ve long been frustrated with Google’s keyword planner and the crazy suggestions it offers. That’s the case whether you’re B2B or B2C. But what’s even more frustrating to me is that the keywords it suggests tend to be very consumer-focused. Even with something that’s obviously B2B like “business management systems,” it’ll come back with things like “what is a business management system” – not the type of queries an enterprise-level person researching a solution would use. These queries are clearly ones that would be used by consumers looking to offload unwanted gift cards – the exact opposite of what we’d want to bid on! The only good part about this awful list is I used them for negative keywords instead. I’m sure that’s not what Google had in mind as an “opportunity,” but I took it nonetheless. 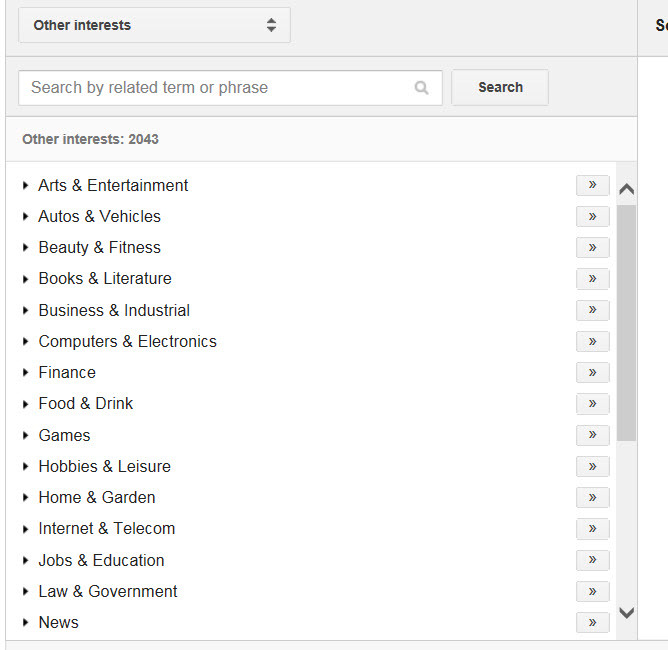 Google has announced that starting next week, they’re retiring the Other Interests targeting option for Display campaigns. Doesn’t sound like a big deal – unless you’re a B2B advertiser. See anything that looks remotely B2B-focused? Me neither. Not awful – but we have clients who don’t fit into any of these categories. For those clients, we’ll be relegated to keyword or placement targeting, which doesn’t always perform as well. Clearly, Google has a bias toward B2C for display campaigns. I’m sure there is a reason for this, probably because most of Google’s advertisers are B2C. But B2B advertisers have big bucks to spend. Many of their products and services are big-ticket items, and companies are willing to pay very high CPCs to advertise them. I rarely see CPCs below $20 in search for my clients. You’d think Google would want this money, but maybe not. What do you think? Have your B2B clients struggled with Google’s B2C bias? Found any workarounds? Share in the comments! Google Loves Data! Lots n lots O’ Data. 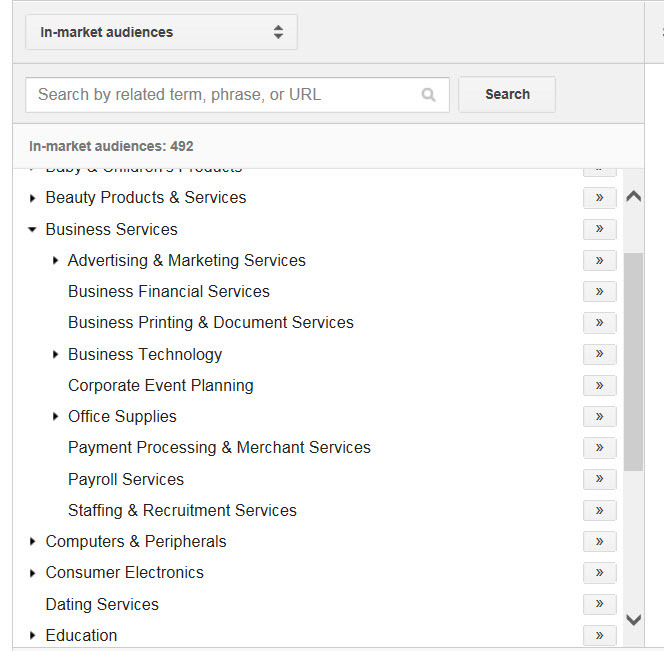 B2B keywords and campaigns just don’t get the volume of data that their B2C counterparts do. That’s why we run into more Low Search Volume status keywords for B2B campaigns. To quote my new favorite intellectual Sir Charles Barkley, It’s just Turrible! It is turrible. And you’re probably right, there’s not enough data. It becomes a downward spiral – Google doesn’t have as much data, so they take away B2B-friendly features, which means we have to continue to look elsewhere to reach our audience. Yep. And the sad thing is that B2B will often pay more for those targeted results instead of wasting budget the current way. Loved this post – I can relate to a lot of it. Just out of curiosity, what keyword tools do you use if you don’t use Keyword Planner for your B2B clients?